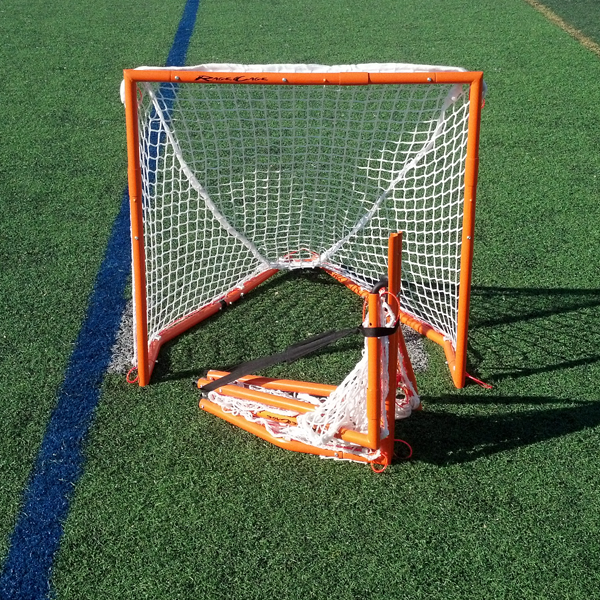 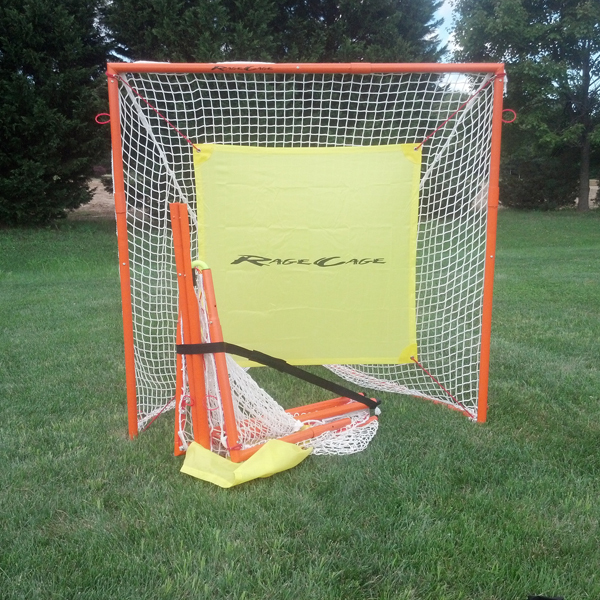 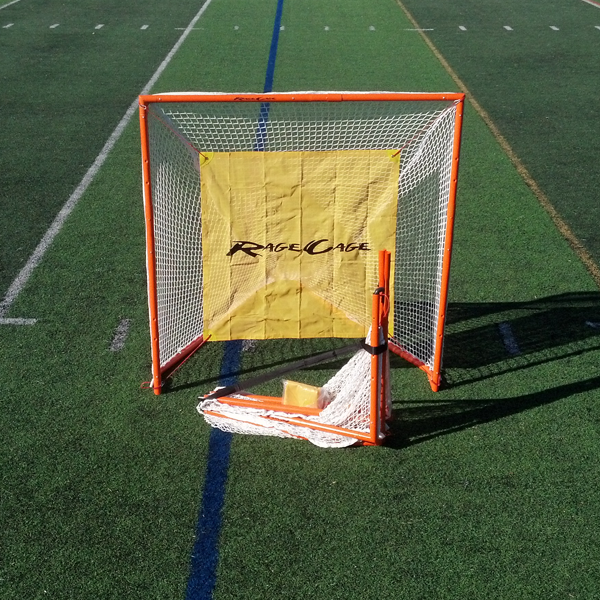 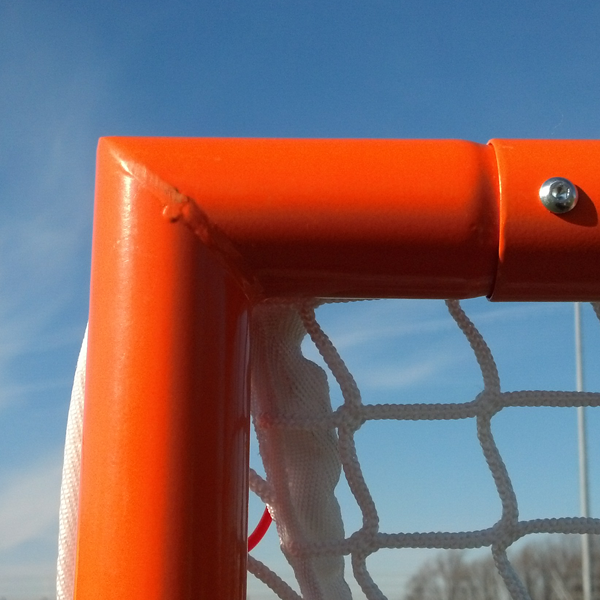 Half-size goal ( 3' x 3' x 3'6" ), using ulta durable Rage Cage joint technology. 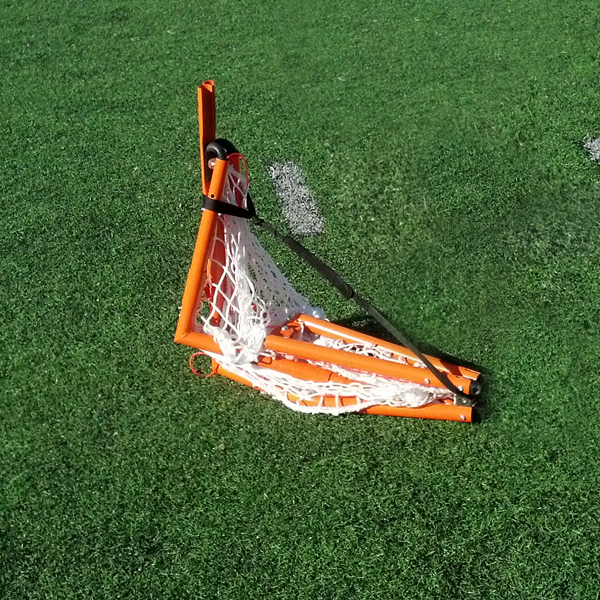 Improved one-time assembly required. 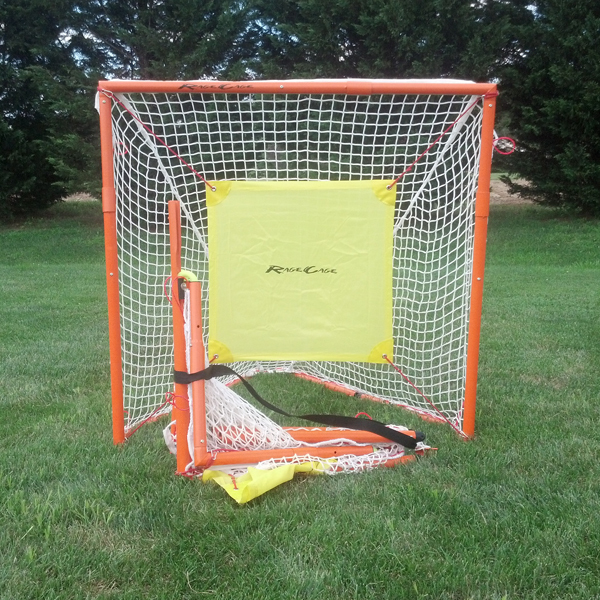 Includes a pre-strung 3mm net ideal for future lacrosse champions. 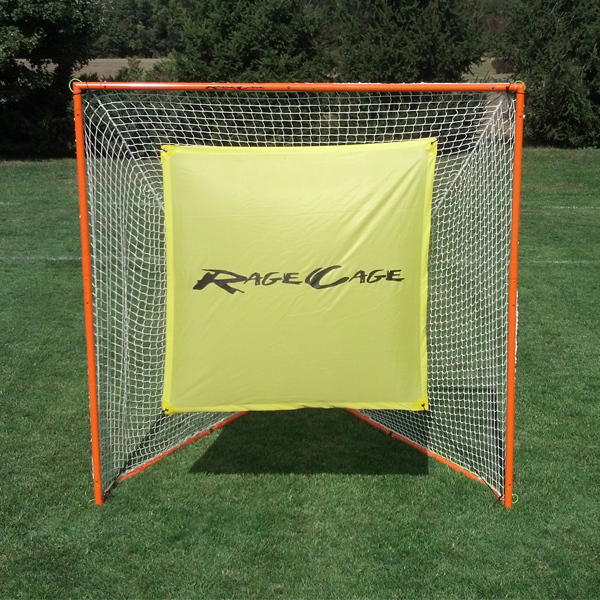 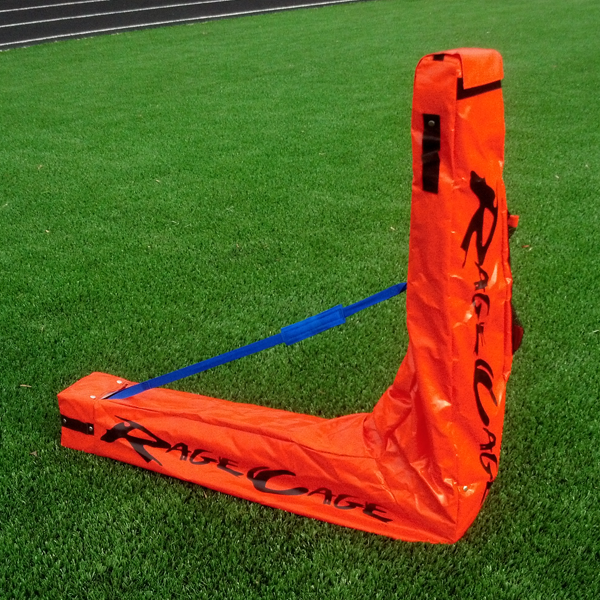 Its rigid 1¼” OD, steel frame is powdercoated orange, folds in seconds and uses Rage Cage ultra durable net fastening system.s in seconds and uses Rage Cage ultra durable net fastening system.